In the past 25 years, idiopathic retroperitoneal fibrosis has received much attention in the literature, and has become a recognized clinical disease. In this period about 400 purported cases are on record, singly and in series, and all aspects of the condition have been widely discussed. 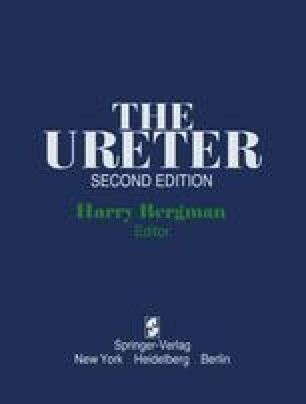 In 1969, the Italian Urological Society devoted a complete session to its consideration , and in 1973 Dufour  reported on obstruction of the lumbar ureter, mentioning idiopathic retroperitoneal fibrosis in detail.